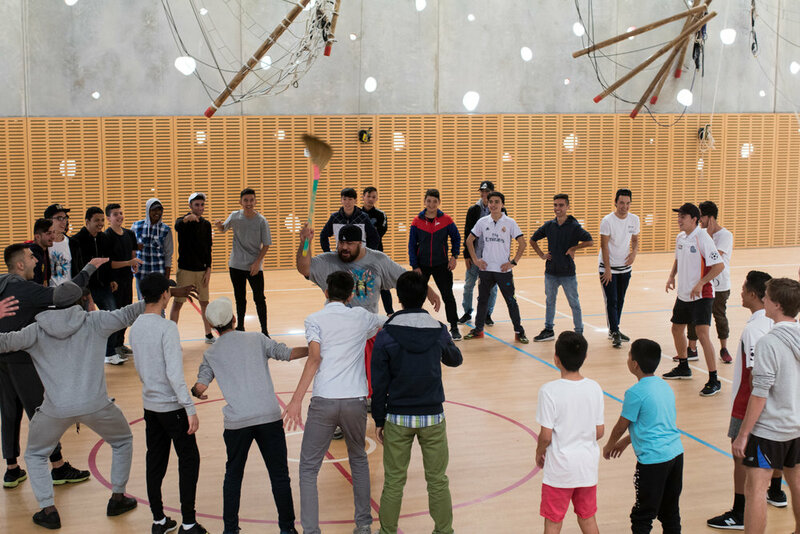 Last week saw young people from migrant and refugee backgrounds come together at Berry in NSW's South Coast for the Focus Camp 2017 over a 5 day period. A collaboration between the CMRC's Youth Transitions project and Creating Chances, the camp saw many positive outcomes. Young people engaged in activities that built their leadership qualities, self confidence, problem solving, challenged their perceived limitations - and they had a lot of fun in the process! Youth Transitions Support Worker Anyier Yuol reflected "It's all about finding our common unity and strengths, it's for girls to met new people, explore each others cultures, their differences, and for them embrace and recognize their own selves. We have done a lot of team building exercises. We want to build and confidence and self esteem of the young girls as well, so a lot of the activities we've done, like rock climbing and the giant swing, has been about building that confidence for them and show them they can overcome challenges and do anything they want." Mariam, who was a team captain during the camp said "I love it because I always get to met new people and learn so many new things. I love how we work together in teams, care about each other, and express our ideas and do things together." The Focus Camp really pushed the idea of creating and fostering the growth of young leaders by creating teams among the young people and then allocating team captains and leaders for each respective team. Stuart Meney from Creating Chances elaborated, "'what we're looking for specifically is for the young people who have worked with us for a number of years to give them the opportunity to take on leadership roles and to excel, using their passion - which more often than not has been sport - and to allow them to apply the skills they've learnt on the field in their leadership roles and interactions with the young people."